Rapper Lil Wayne is talking about the health scare that he recently went through two weeks ago when he had a seizure. "I'm an epileptic, so I'm prone to seizures," Lil Wayne told radio station Power 106 in Los Angeles on Thursday, according to People Magazine. "This isn't my first, second, third, fourth, fifth, sixth, seventh seizure. I've had a bunch of seizures. Y'all just never hear about it." Epilepsy is the medical term for several conditions that are characterized by recurring, often unpredictable seizures. Many things can cause a seizure including tumors, having a stroke or original abnormal development in the brain. About 1 to 2 percent of the general population -- about 3 million people - have epilepsy, according to the Cleveland Clinic. However, 15 percent of those aged 65 or older will have at least one seizure, so many people can go for many years without any issues before the problems start to manifest. While most people think of a seizure as someone shaking or convulsing, they may occur in many forms, Dr. Imad Najm, director of the Eplepsy Center at Cleveland Clinic, said to CBSNews.com. The neurologist was not involved in Lil Wayne's case. "Epilepsy can exhibit itself as non-shaking seizures," he said. "A patient might stare or stop what they are doing or stop understanding what's going on around them. To us looking at the person, we see nothing odd. We see that as an episode of confusion." People can tell they are having a seizure if they notice they aren't functioning at 100 percent, and they aren't as widely responsive or alert, Najm said. Sometimes these feelings may last up to 24 hours. When a person experiences a seizure, what is actually happening is they are having a "firestorm" of electrical activity somewhere in their brain, Najm explained. The way the seizure manifests itself depends on where the abnormal activity is taking place. For example, if the electrical activity happens in a place in the brain where speech or understanding of language takes place, the first sign is usually an inability to respond in a structured manner. If it takes place in an area that controls hand movement, the patient may have difficulties using their hands. Sometimes, the abnormal electrical activity spreads to the whole brain, and that is when we see generalized, convulsive motions. Seizures are dangerous for epileptics because scientists believe that each episode causes microscopic damage in the brain. Patients who have exhibited many seizures over a long period of time have been shown to have slower thinking and memory ability. "We see progressive decline in their cognitive and functional abilities," Najm said. "The general belief in the scientific community is that most seizures lead to damage in the long term, meaning years." In addition, seizures can decrease oxygen to the brain and lower a person's blood pressure. Lil Wayne said that he experienced three seizures in a row, which lowered his heart rate to 30 percent of its normal activity. "Basically, I could've died soon. That's why it was so serious," he said. Different activities can trigger seizures, including mental stress or difficult times in a person's life. Lack of sleep can also bring about an episode. 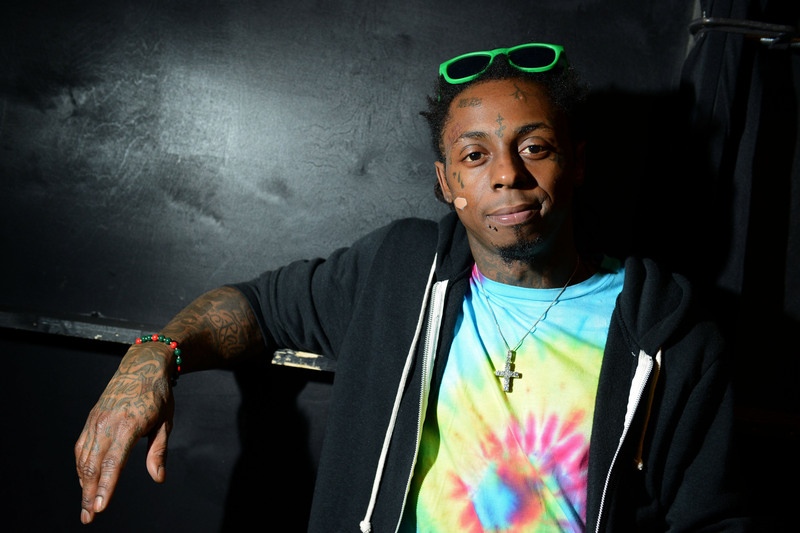 Lil Wayne blamed his recent scare on his work schedule. "The reason being for the seizures is just plain stress, no rest and overworking myself. That's typical me, though," Lil Wayne said. Epileptics sometimes have subjective feelings that warn them they are about to have a seizure, known as an aura. However, auras usually only are felt a few seconds before an attack, so patients don't have time to prepare. Dr. Najm advises that if you see a person having a seizure the first thing you should do is place them in a safe environment where they are away from any sharp or surrounding objects. Make sure if they fall they won't hurt themselves. Next, try to make sure they are breathing well and are not pale. If they are exhibiting any problems breathing, get medical help immediately. The director of the Center for Disease Dynamics, Economics and Policy tells 60 Minutes that the overuse of antibiotics has led to antibiotic-resistant bacteria. See the full story, Sunday.